Yesterday was a day that epitomises being on holiday in my own town. A friend organised a get-together down the coast on a beautiful beach I don’t go to that often, probably because I go to other beautiful beaches in the vicinity. We’re spoilt around here for beautiful beaches. It wasn’t a really warm day but that didn’t stop the kids going into the water while us adults supervised and chatted amongst ourselves. It’s a beach that cars are allowed to drive on, for the moment anyway. 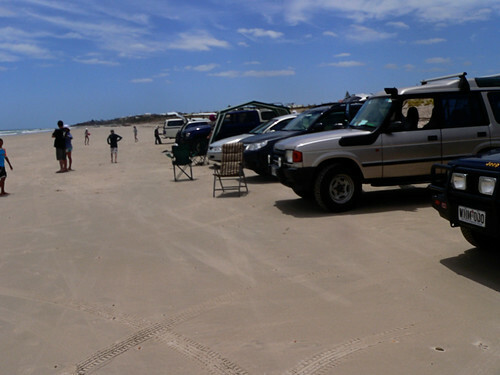 For the most part, people are fairly sensible with their driving but some went a bit too fast when driving past our group which is just silly when there’s people walking around and kids running back and forth to the beach. After the beach I dropped JJ at my sister’s place and met a friend to see the movie Slumdog Millionaire. The Director, Danny Boyle, who directed this also did Shallow Grave, Trainspotting and The Beach. I’d heard lots of good reviews about Slumdog Millionaire and I’d recommend going to see it. It was a bit confronting which it needed to be to be true to the lives of kids growing up in the slums of Mumbai and three people left the cinema during some more confronting bits. The rest of us who stuck through it thoroughly enjoyed it. If you go and see it you might cover your eyes up for some of it but hang in there. It is written. We enjoyed a Malaysian meal afterwards. I can certainly say that yesterday was one of the great days I’ve enjoyed these holidays. 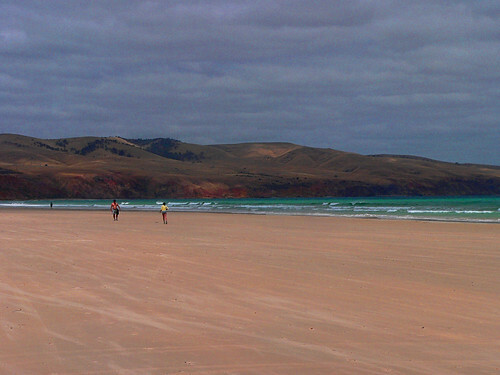 Wow – look at that huge expanse of sand! We have nowhere near that amount of real estate at our beach. I have never heard of that film (and have grave fears it will never reach a cinema here – should I ever get to a cinema here) – but glad you had a great day. Jeanie, it is a huge beach. If you can get the film on DVD when it comes out I’d recommend it.